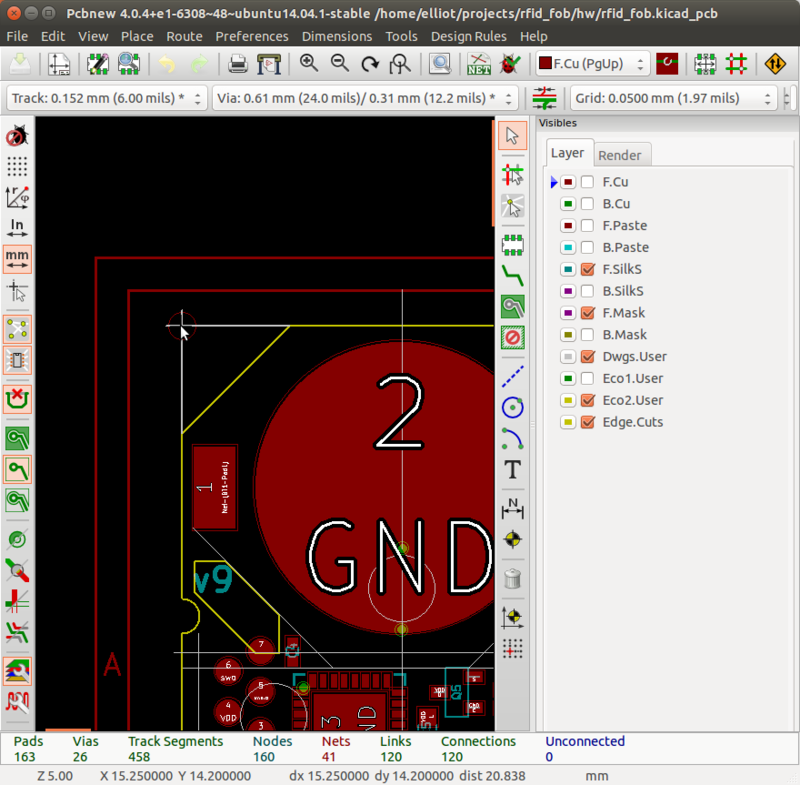 Add auxiliary origin to top left of pcb. 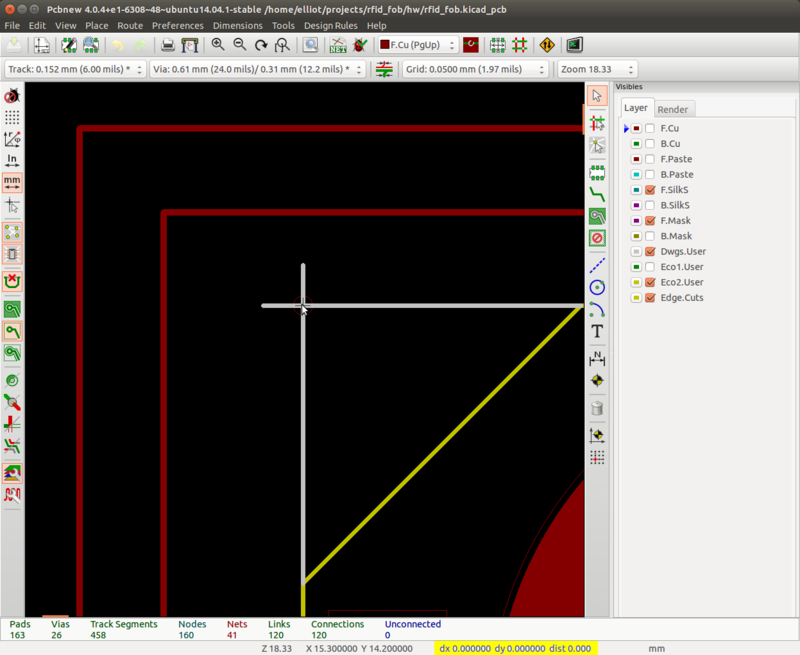 If your PCB isn’t rectangular (like mine) you can add reference lines to the Dwgs.User layer to find the top left corner. Place cursor over new auxiliary origin and hit ‘spacebar’ to set relative coordinate reference. Notice how highlighted coordinates below are all zero. Hover crosshairs over center of each test pad and write down x/y coordinates (relative to auxiliary origin). After you’re finished you should have an array with the number of elements equal to number of test points. Get max x/y dimensions of board. Use the same technique above to set relative referencing and measure max x and y dimensions. Write these down. 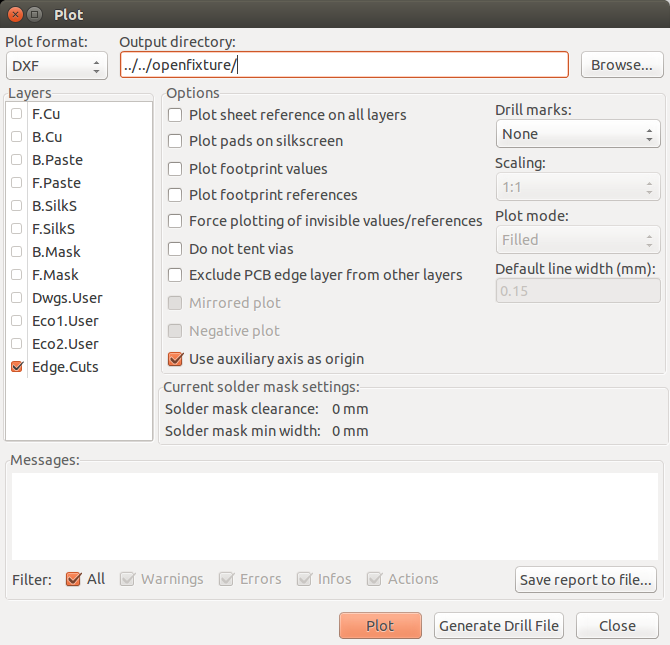 Export board outline as DXF. That’s it! Time to plug values into the OpenFixture parametric script.